The field is the best natural laboratory for developing a real understanding of the subject. 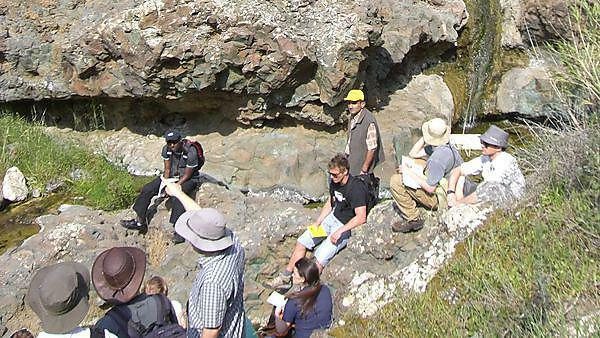 Led by our staff of expert field geologists, fieldwork allows you to put into practice the theories learnt in lectures, seminars and lab classes. You will become an experienced field-worker, able to apply academic knowledge and skills to a range of Earth science problems. You will also develop skills which will serve you outside geology, such as teamwork and independent learning. Also field trips are lots of fun and a great way to get to know your fellow students and the academic staff much better. Field courses in years one and two are compulsory, whereas the final year fieldwork is optional and you get a choice of choosing geological or geographical fieldtrips depending on where your interests lie. You may also want to undertake take field work as part of your honours dissertation. Note that this course has a lower field component than our BSc Geology and Applied Geology degrees. Building on UK-based fieldwork in your first year, we use the exceptional geology of southern Spain to train you in key geological and geomorphological skills in your second year. Fieldwork in your final year takes advantage of a number of world-class environments in order to further extend your field training. Recent locations have included Mount Etna in Sicily, Iceland, western Ireland, Morocco and Cyprus. You can also choose to undertake fieldwork as part of your independent project. support materials of the highest quality. Dorset and Cornwall. 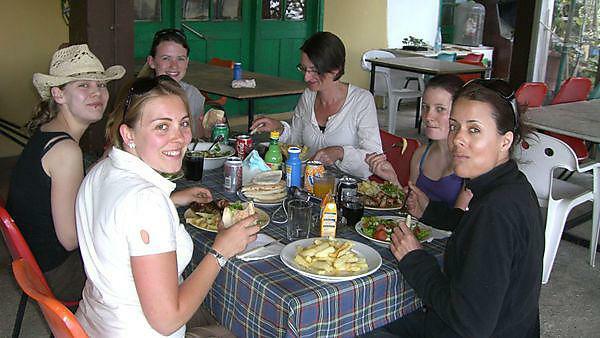 Get field experience early in your degree through day trips and a short residential field course. These trips help you to understand stratigraphy and Earth history, covering key skills such as sedimentary logging, field sketching, rock descriptions and geological mapping. South Devon (compulsory). Visit wild coastlines and moors to practice geological sketching and hand specimen identification of a range of rocks and minerals. You will undertake a simple geological mapping exercise, study raised beaches and investigate the effect of natural climate change on landscape. Dartmoor and North Devon (compulsory). Kick of the second year by further developing your field skills and confidence. You will learn geomorphic mapping techniques and practice your rock identification and description skills in the periglacial landscape of Dartmoor. Spain (compulsory). Explore a range of geographical and geological field skills in Almeria, a desert-like mountainous region with a wide range of rock types, landforms and tectonically active fault structures. You will examine spectacular landforms created by tectonic uplift of the land surface and climatic changes, learning how to reconstruct the size and magnitude of past floods. Death Valley (USA) (optional). This trip takes in active faults, volcanoes and awe inspiring landscapes in the area around Death Valley, which lies to the south of the major continental rift system of the Basin and Range Province. Here we can see in detail how extensional tectonics interact with climate to control surface processes, geomorphology, stratigraphy, geological hazards and resource distribution. This area also includes the sites of recent, and potentially future, volcanic activity, including the Long Valley Caldera, one of the most carefully monitored volcanic areas in the world. We also examine the interaction between human activity and the environment in such a tectonically active and hot, arid region. Sicily (optional). This field trip gives you an introduction to volcanology; not only will you visit an active volcano and learn about its four distinct evolutionary phases, you will also visit the Etna Volcano observatory to meet the geologists who monitor this volcano daily. Please note: these are our current field courses but we continually review our field provision so trips may change in future.